Is Global Warming Becoming Colder? Global warming is one of the most controversial issues, but new data received from Ocean Surface Surface Topography From Space suggest that our oceans are now colder. The latest image of Pacific Ocean sea surface heights from the NASA/European Ocean Surface Topography Mission/Jason-2 oceanography satellite, dated June 11, 2010, shows that the tropical Pacific has switched from warm (red) to cold (blue) during the last few months. The blue area in the center of the image depicts the recent appearance of cold water hugging the equator, which the satellite measures as a region of lower-than-normal sea level. Remnants of the El Niño warm water pool, shown here in red and yellow, still linger north and south of the equator in the center of the image. The image shows sea surface height relative to normal ocean conditions. Red (warmer) areas are about 10 centimeters (4 inches) above normal. Green areas indicate near-normal conditions. Purple (cooler) areas are 14 to 18 centimeters (6 to 7 inches) below normal. Blue areas are 5 to 13 centimeters (2 to 5 inches) below normal. A La Niña is essentially the opposite of an El Niño. During a La Niña, trade winds in the western equatorial Pacific are stronger than normal, and the cold water that normally exists along the coast of South America extends to the central equatorial Pacific. La Niñas change global weather patterns and are associated with less moisture in the air, resulting in less rain along the coasts of North and South America. They also tend to increase the formation of tropical storms in the Atlantic. Is global cooling going to be next agenda? New reports from International Argo Project has shown a significant rise in temperature of ocean. The upper layer of Earth’s ocean has warmed since 1993, indicating a strong climate change signal, according to a new international study co-authored by oceanographer Josh Willis of NASA’s Jet Propulsion Laboratory, Pasadena, Calif. The energy stored is enough to power nearly 500 100-watt light bulbs for each of the roughly 6.7 billion people on the planet continuously over the 16-year study period. A warming ocean is a direct cause of global sea level rise, since seawater expands and takes up more space as it heats up. The scientists say that this expansion accounts for about one-third to one-half of global sea level rise. Combining multiple estimates of heat in the upper ocean – from the surface to about 610 meters (2,000 feet) down – the team found a strong multi-year warming trend throughout the world’s ocean. According to measurements by an array of autonomous free-floating ocean floats called Argo, as well as by earlier devices called expendable bathythermographs, or XBTs, that were dropped from ships to obtain temperature data, ocean heat content has increased over the last 16 years. Data from the array of Argo floats — deployed by NOAA and other U.S. and international partners — greatly reduce the uncertainties in estimates of ocean heat content over the past several years, the team said. There are now more than 3,200 Argo floats distributed throughout the world’s ocean sending back information via satellite on temperature, salinity, currents and other ocean properties. Below is the map shows an estimate of the change in upper Ocean Heat Content Anomaly (OHCA) from 2007 to 2008 derived from both in situ data and altimeter sea surface height mapping performed according toWillis et al. 2004. Historical data are from XBTs, CTDs, moorings, and other sources. A preliminary ad-hoc fall rate correction has been applied to the XBT data in an attempt to correct for biases between XBT data and more accurate CTD data. Additional displays of the upper OHCA and sampling error are available in thePlots section. Isn’t this enough to prove global warming? What will happen when we have no coal, no crude oil and almost no fossil fuel? Would our technological civilization die? Many advocates suggests uranium as a future energy source including Brian Wang of Next Big Future. However I find many implications which opposes the case of advocates. I’m not going to suggest alternative energy source right now as B.W. asks in his article [if nuclear fission is not the energy source of the future then weird science needs to compare and present what the alternative is that he supports], but be sure I will do it later with full analysis. I’ve described some of them in my previous article which are here . B.W. has suggested that extraction of Uranium could be economical if we use seawater as a resource of Uranium but that proved to uneconomical and having very less production. Another issue which can be involved with reactor is that if these could power world for long time[since these are suggested as future source]. Here is a Scientific American report which make it obvious to depict that Uranium is not future energy source. Most of the 2.8 trillion kilowatt-hours of electricity generated worldwide from nuclear power every year is produced in light-water reactors (LWRs) using low-enriched uranium (LEU) fuel. About 10 metric tons of natural uranium go into producing a metric ton of LEU, which can then be used to generate about 400 million kilowatt-hours of electricity, so present-day reactors require about 70,000 metric tons of natural uranium a year. According to the NEA, identified uranium resources total 5.5 million metric tons, and an additional 10.5 million metric tons remain undiscovered—a roughly 230-year supply at today’s consumption rate in total. Further exploration and improvements in extraction technology are likely to at least double this estimate over time. Using more enrichment work could reduce the uranium needs of LWRs by as much as 30 percent per metric ton of LEU. And separating plutonium and uranium from spent LEU and using them to make fresh fuel could reduce requirements by another 30 percent. Taking both steps would cut the uranium requirements of an LWR in half. 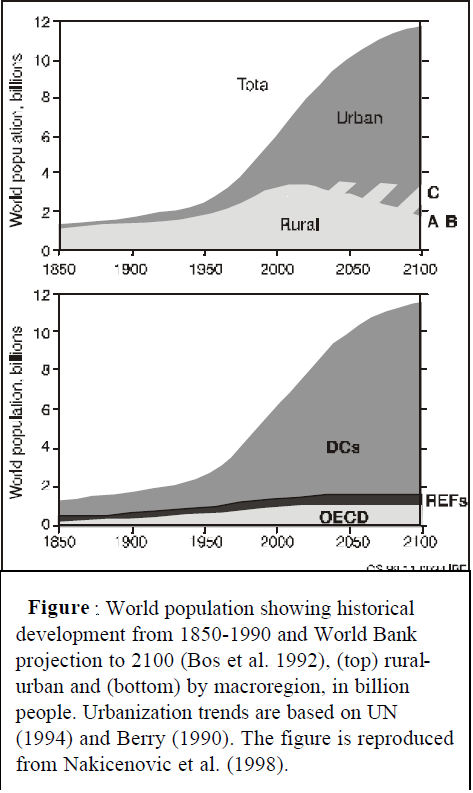 The energy demand also depends upon urbanization. Go through this research paper. World marketed energy consumption is projected to increase by 44 percent from 2006 to 2030. Total energy demand in the non-OECD countries increases by 73 percent, compared with an increase of 15 percent in the OECD countries.In the IEO2009 reference case—which reflects a scenario in which current laws and policies remain unchanged throughout the projection period—world marketed energy consumption is projected to grow by 44 percent over the 2006 to 2030 period. Total world energy use rises from 472 quadrillion British thermal units (Btu) in 2006 to 552 quadrillion Btu in 2015 and then to 678 quadrillion Btu in 2030 (Figure 1). The current worldwide economic downturn dampens world demand for energy in the near term, as manufacturing and consumer demand for goods and services slows. In the longer term, with economic recovery anticipated after 2010, most nations return to trend growth in income and energy demand. I will publish more in my next posts. I will also consider other opinion as B.W. suggested in email. New Measurements Warned of Depleting Underground Resources? GRACE observed groundwater trends in the Sacramento and San Joaquin River basins, Oct. 2003 to March 2009. (Image courtesy of NASA). Groundwater levels in critical agricultural areas worldwide such as India and California’s Central Valley are dropping rapidly. For example, groundwater levels are dropping up to six feet a year in the San Joaquin Valley. Two technologies that use remote sensing—one airplane-based and one satellite-based—are being used to track groundwater levels worldwide either at the large-scale or at the small-scale. GRACE (Gravity Recovery and Climate Experiment) performs large-scale, long-term analysis using changes in gravity at the earth’s surface to examine the removal of groundwater from large aquifers worldwide. According to satellite data from GRACE, groundwater levels in the San Joaquin Valley dropped 2 to 6 feet per year from October 2003 – March 2009 while groundwater levels dropped from 0.3 to 0.5 feet per year over that same time period in the northern Sacramento Valley. GRACE, through a partnership with NASA and the German Aerospace Center, tracks the monthly changes in the Earth’s gravity field caused by the movement of water. Variations in the Earth’s gravity field are mapped using two identical satellites flying about 220 kilometers apart in a polar orbit 500 kilometers above the Earth. Gravity fluctuations measured by the satellites correlate with variations in the density of the land surface below. When groundwater is extracted, the land surface density changes slightly and GRACE data can detect those changes. GRACE measurements show that India’s breadbasket region may be running out of water. According to NASA satellite data, groundwater levels in aquifers in northwest India have declined one foot per year over the past decade. Researchers conclude the loss is due almost entirely to groundwater pumping and consumption by human activities, such as irrigating cropland. As a result, aquifers are being drained much faster than they can be replenished by rainfall or river runoff. Approximate location of maximum subsidence in the U.S. in 1977 as identified by research efforts of Dr. Joseph F. Poland (pictured). The site is in the San Joaquin Valley southwest of Mendota, CA. (Image courtesy of USGS Fact Sheet-165-00). In December 2009, scientists from NASA and the University of California, Irvine, detailed California’s groundwater changes and described GRACE-based research on other global aquifers at the American Geophysical Union meeting in San Francisco. Since late 2003, the Sacramento and San Joaquin drainage basins combined have lost more than 30 cubic kilometers of water, said Jay Famiglietti, a hydrologist from the University of California, Irvine. (One cubic kilometer is about 264.2 billion gallons or 811 thousand acre feet.) The bulk of the loss occurred in California’s agricultural Central Valley. Groundwater resides beneath the soil surface in permeable rock, clay and sand. Many aquifers extend hundreds of feet underground and in some instances have filled with water over the course of thousands of years. Removal of groundwater at rates that exceed the rate of natural recharge is mining an aquifer. One byproduct of aquifer mining is that the ground surface drops as the emptied aquifer compresses. This process of compaction results in subsidence of the Earth’s surface. Land subsidence is a gradual settling or sudden sinking of the Earth’s surface owing to subsurface movement of earth materials. According to a fact sheet from U.S. Geological Survey (USGS), the principal causes of subsidence are aquifer-system compaction, drainage of organic soils, underground mining, hydrocompaction, natural compaction, sinkholes and thawing permafrost. In addition to GRACE, an aircraft-based technology looks at ground subsidence at the scale of millimeters to look at smaller scale and shorter-term depletion of groundwater. This powerful new mapping tool, InSAR—Interferometric Synthetic Aperture Radar—is capable of remotely sensing small changes in land surface elevation with excellent detail through collection of airborne or spaceborne radar data. The subsidence maps allow monitoring and managing of subsidence caused by the compaction of aquifer systems. “To measure subsidence in the Central Valley of California,” Hensley said, “two radar passes are made by either an airborne or spaceborne radar and then by measuring precise range changes using radar interferometric techniques, the subsidence due to groundwater discharge can then be measured at the sub-centimeter level.” This high degree of accuracy allows precise measurement of subsidence. An example of deformation measurement using synthetic aperture radar (Image courtesy of JPL). “The technique of InSAR has been used in several studies of subsidence elsewhere, including Los Angeles, Las Vegas, and Phoenix,” said Tom Farr, a geologist with JPL. 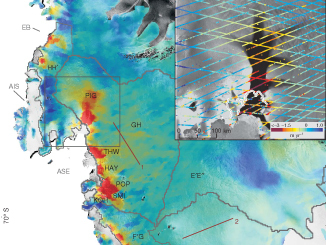 “However, the Central Valley is proving difficult because of the agricultural vegetation and plowing that change the ground surface too much for the InSAR technique to work well. So far, we have some preliminary data that indicates we can make the measurements sometimes for some locations, but what we’d like to do is create a complete time series, or ‘movie’ of the ground deformation caused by water withdrawal and recharge,” he added. “Groundwater resources are being rapidly depleted in many regions of the world,” Famiglietti said in an article last August in Scientific American. “These signals of groundwater loss, particularly in the Central Valley, are very strong. Measurements of subsidence and groundwater depletion now can be measured accurately by remote sensing from satellites and airplanes. The more difficult task is coming up with management actions that will reverse or slow subsidence and groundwater mining. Imagine reading this headline: Eating Rice Linked to Unemployment! The story describes how a random sample of the citizenry has been sampled and asked how much rice they eat and if they have recently lost their job. The conclusions show that the study has established a link between the consumption of rice and joblessness. Of course, lots of people eat rice because it’s relatively inexpensive. People of limited resources eat more of it than wealthy people. Just claiming that a “link” exists really doesn’t say much about cause and effect. Eating rice every day will not make you lose your job. With the debate on global warming we often hear about “links” to pollution, carbon dioxide and industrial emissions. Do these things really cause the climate to warm up? 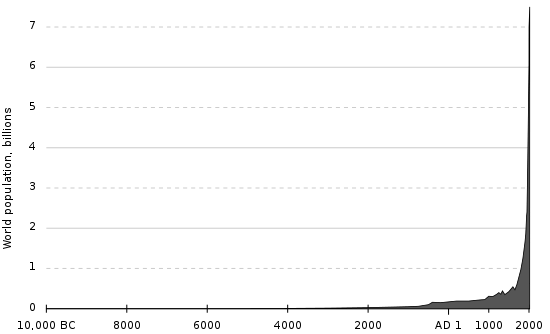 Given the dramatic boom in the Earth’s population (6 billion) and our rapid industrialization and oil consumption it makes sense that our carbon emissions will climb any graph. No one will question that the world is a much more polluted place than it was in the past. But are these things causing the climate to get warmer? In fact, before we attempt to link these things we need to know… is the climate even getting warmer? November and December of 2009 saw El Paso get snowfall before New England! The weather seems to be contradicting the paradigm we have neen taught about a warming planet. Who can you believe? I know, let’s ask NASA. They should know. They have all those billion dollar satellites and decades of records. Right? Under the FOIA (Freedom Of Information Act) NASA has been asked to provide their data about the Earth’s climate ahead of the US attending and signing on to the Copenhagen Conference of Global Warming. Much is at stake here because the US is primed to fork over huge amounts of our National treasury to lesser polluting, underdeveloped countries as part of our reparation for being one of the major polluters of the planet. Surprisingly (or maybe not), NASA has failed to turn over the data. Mark Hess, public affairs director for the Goddard Space Flight Center which runs the GISS laboratory, said they are working on the FOIA request, though he couldn’t say why they have taken so long. For most of the past 10,000 years the earth was warmer than today’s temperatures. 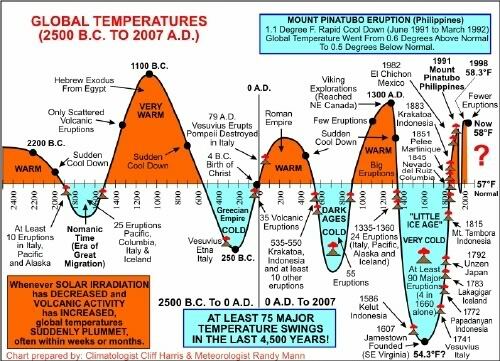 2000 years of global temperature data, note the current global warming starting in the mid 1700s, well before man started producing much CO2. The warmest year ever recorded in the USA was 1934, link. The coldest, in the mid 1970s, a period when some scientists and most of the press said the earth was heading toward global cooling if not a return of glaciation. Five of the ten warmest years since 1900 were before 1940! US temperatures have only risen 0.2 degrees F from 1940! 24 of the 50 US States had their highest ever recorded temperature in the 1930s. Five of the ten warmest years since 1900 were before 1940! Hmmm. What’s up with this? I’ve ever been open minded with analytical views. I’ve published some of my previous posts on global warming advocacy that were mainly dealing with actions required against global warming and actions what we are taking against global warming. And all this lead me to conclude that Earth is haunted. Daily new datas are being publicized supporting climate change, many organisations are working for against global warming, yet why is it happening? More recently data provided by one of the NASA satellite was hypnotic. It is obvious to view increasing ozone hole in that report. The report looks something like below. The annual ozone hole has started developing over the South Pole, and it appears that it will be comparable to ozone depletions over the past decade. This composite image from September 10 depicts ozone concentrations in Dobson units, with purple and blues depicting severe deficits of ozone. › View video (1.3 MB mp4) September 16 marks the International Day for the Protection of the Ozone Layer, declared by the United Nations to commemorate the date when the Montreal Protocol was signed to ban use of ozone depleting chemicals such as chlorofluorocarbons (CFCs). Scientists are tracking the size and depth of the ozone hole with observations from the Ozone Monitoring Instrument on NASA’s Aura spacecraft, the Global Ozone Monitoring Experiment on the European Space Agency’s ERS-2 spacecraft, and the Solar Backscatter Ultraviolet instrument on the National Oceanic and Atmospheric Administration’s NOAA-16 satellite. 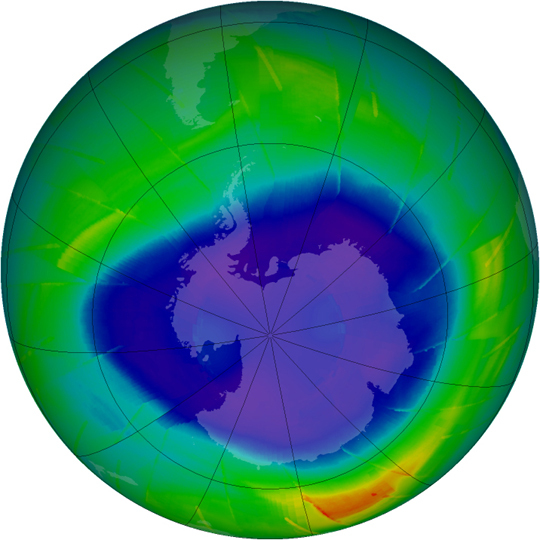 The depth and area of the ozone hole are governed by the amount of chlorine and bromine in the Antarctic stratosphere. Over the southern winter, polar stratospheric clouds (PSCs) form in the extreme cold of the atmosphere, and chlorine gases react on the cloud particles to release chlorine into a form that can easily destroy ozone. When the sun rises in August after months of seasonal polar darkness, the sunlight heats the clouds and catalyzes the chemical reactions that deplete the ozone layer. The ozone hole begins to grow in August and reaches its largest area in late September to early October. Recent observations and several studies have shown that the size of the annual ozone hole has stabilized and the level of ozone-depleting substances has decreased by 4 percent since 2001. But since chlorine and bromine compounds have long lifetimes in the atmosphere, a recovery of atmospheric ozone is not likely to be noticeable until 2020 or later. › What’s Holding Antarctic Sea Ice Back From Melting? Once this so called dogma of ozone layer depletion or ozone hole, claimed to be decreasing but what this report reveals? There is another more recent report of NASA which clearly shows that ice caps are melting. The new elevation maps show that all latitudes of the Greenland ice sheet are affected by dynamic thinning — the loss of ice due to accelerated ice flow to the ocean. 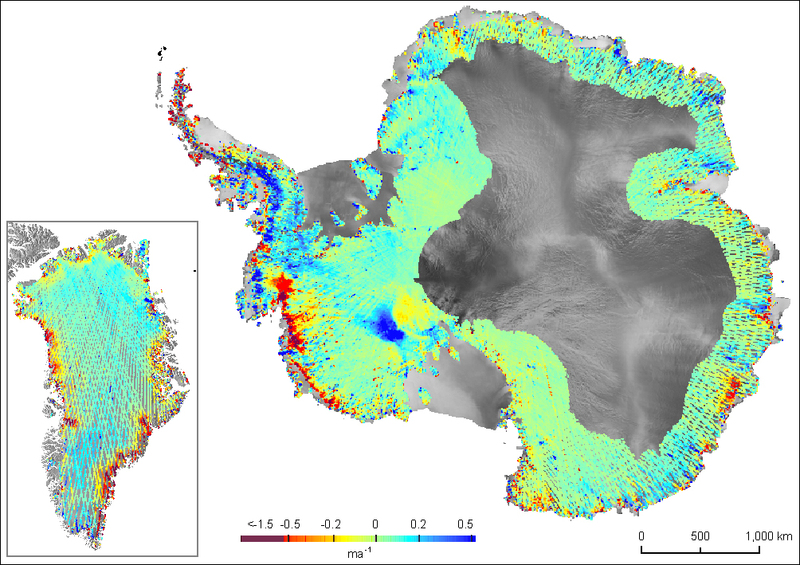 The maps also show surprising, extensive thinning in Antarctica, affecting the ice sheet far inland. The study, led by Hamish Pritchard of the British Antarctic Survey in Cambridge, England, was published September 24 in Nature. both reports of NASA clearly shows how fast global warming is happening, yet there are many who supports proposed theory of global warming fake. They profess comments against global warming and proclaim that we need not to worry against global warming because It’s natural not anthropogenic and we can’t oppose or change nature. Oh…. But why? You can’t do better than sitting in your air conditioned office. It seems me that Earth is haunted and That’s why such “ghosts” are among us. We are even more aware about global warming than that in 1990s and That’s why it gonna happen? Ice caps are melting and ozone hole are increasing vastly boosting global warming is happening. What would be further in HAUNTED EARTH?